Dorothy. The lovely dorothy meets glinda. Wallpaper and background images in the The Wizard of Oz club tagged: dorothy.wizard of oz glinda classic film photo. This The Wizard of Oz photo might contain موسمیاتی بلون and موسمیاتی غبارہ. 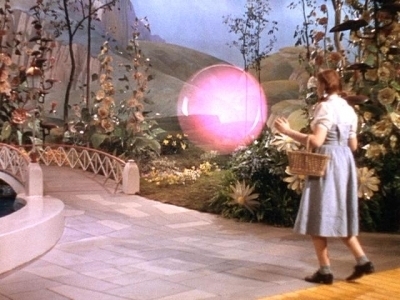 Glinda in the beautiful pink orb! Love it! If i were an orb it would be pink !! !